Praise God from whom all blizzards blow, Alleluia! When snow comes down and cold winds blow! Alleluia! When four-foot drifts surround your house! If more snow falls, Praise for snowballs. I have no idea who Linda Olin is, but I applaud her effort to make the best of a difficult situation. When we find ourselves in situations beyond our control, we need to fight against the tendency to complain and learn to count our blessings, even if such blessings are only gloves, shovels and snowballs. 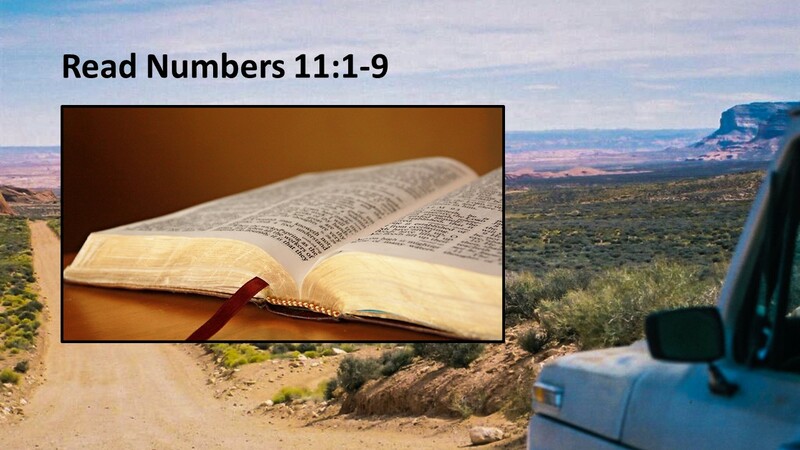 Starting today and for the next five sermons, I am going to preach from the 11th Chapter of the Book of Numbers. The Hebrew people are in the wilderness, but unlike Ms. Olin, they’re not counting their blessings. They’ve been eating manna for nearly two years now, and are sick of it. In Exodus, we find the people complaining about a lack of good water. God provides a way to purify it. 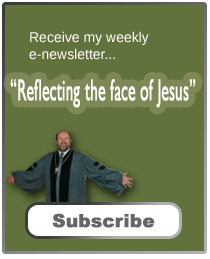 Later they complain of the lack of any water and God provides a pouring spigot from a rock. Let’s face it. Those were legitimate complaints. Without water, we die. But now, we hear that the Hebrew people are complaining about a bland diet. And yet, remember, Jesus tells us to pray for our daily bread. In other words, if we have enough to get by, we should be thankful even if we are working for something better. 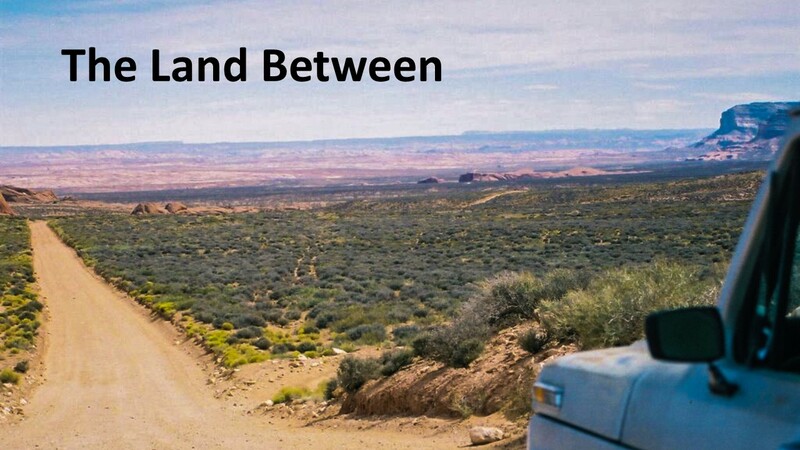 As illustrations for this series, I’m using some photos I took on a trip into Central Utah with a friend of mine, the late Ralph Behrens. I told you more about one of these photos in my e-news yesterday—if you don’t receive that newsletter and would like to, see me. 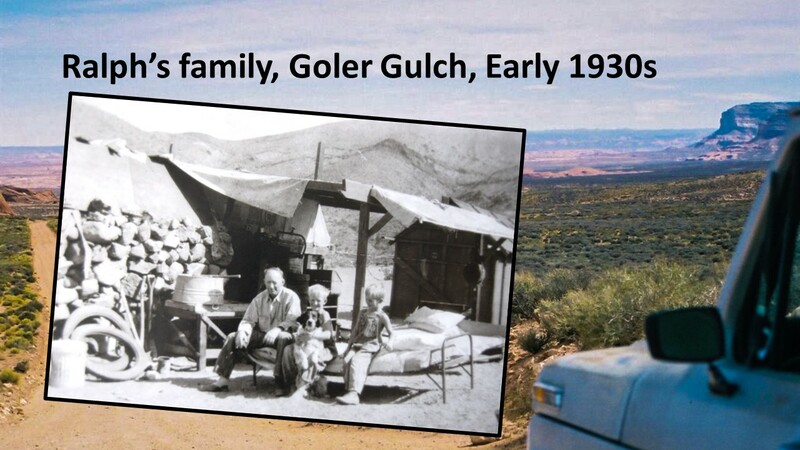 Ralph grew up in Goler Gulch in the Mojave Desert. He escaped that hard-scrabble life thanks to the Army Air Corp, spending the final few weeks of the Second World War in the Pacific. Afterwards, on the GI Bill, he earned a chemistry degree, but having grown in a mining camp, he remained interested in the industry. Because of this, he took a special interest in my dissertation on role of the church in the Nevada mining camps. Ralph and I would often travel out into the desert looking at old camps. On these long drives, he would tell stories of growing up in such a place. One of the stories he told was when his father would go to work at the mine, he always said he was going to “Make Beans.” And that was it. He made enough money to buy beans for dinner, which was most of their diet during those hard years of the Great Depression. Few of us have that kind of hardship or exist on such a bland diet. 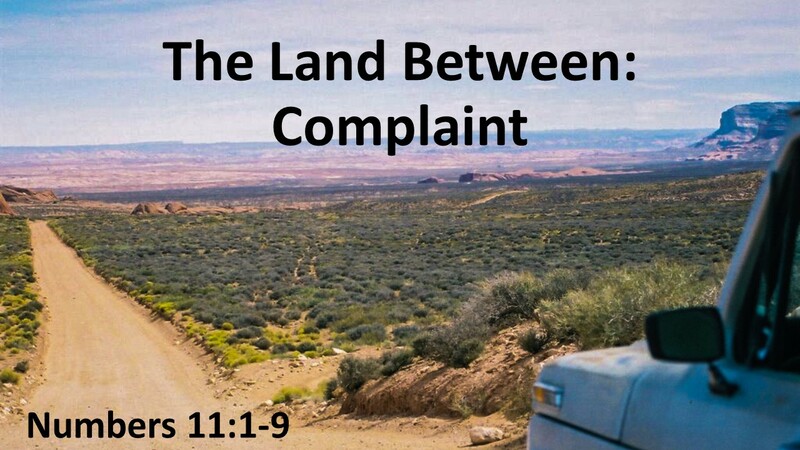 If we have, I’m sure we’d be complaining, as we will see that the Hebrew people did when they were in the wilderness. Let’s look at this text. Read Numbers 11:1-9. I was reading a novel on a flight from Boise to Chicago back in 1990. It was an early flight and arrived mid-morning in the windy city, a city that lived up to its name that day. As we began the approach, the pilot came on told the attendants to quickly prepare the cabin and to take their seats as it was going to be a rough. It was. The plane bounced all around as we came into a landing. Why he decided to attempt the landing was beside me for on the ground the wind was blowing like crazy and tarps were flying across the runways as ground crews tried to protect luggage. 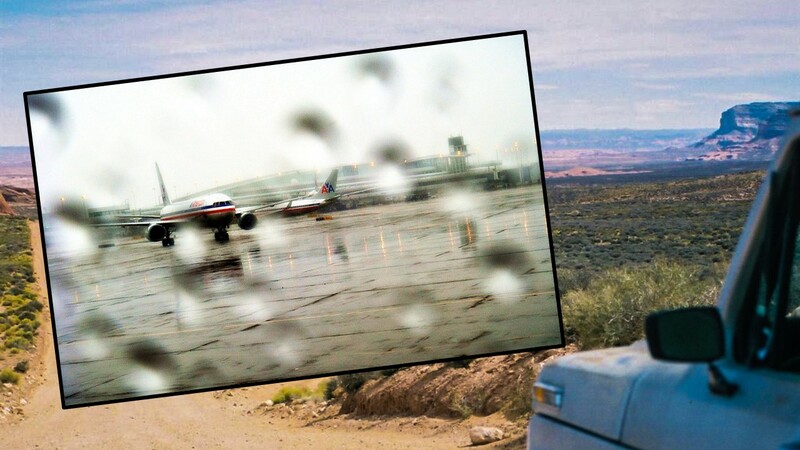 We stepped off the plane with water flowing through the gap between the plane’s body and the walkway. When I arrived inside the terminal, I headed off into the direction for my flight to Pittsburgh. I had plenty of time, so when I came upon a bar with a hundred people or so crowded around it, as if it was happy hour, I decided to check it out. It was only 10:30 in the morning, so I was pretty sure it wasn’t a happy hour special. Instead, everyone was glued to the monitors above the bar, tuned to a local TV news. That morning, tornadoes were ripping through the western suburbs of the city, not far from the airport. I felt blessed to be on the ground, and again wondered why the pilot tried to land. Ours was one of the last flights to touch down before they closed the airport. With only a book in hand (this was before the airlines nickeled-and-dimed you over luggage so I had checked everything), I made my way to the gate where I would spend the next 18 hours. Of course, I didn’t know I’d be stranded so long. Had I known, I would have had a few more books. We have all been there, haven’t we? Maybe not out in the desert eating only beans or manna, or in an airport with just one book to read, but we have all been in situations where we had to wait, where we just spend time in boredom. We wait, hoping for a better future, a better diet, a quicker flight, a new job (or a better one or maybe just any job), or long for healing, or to get over grief. Waiting is hard. 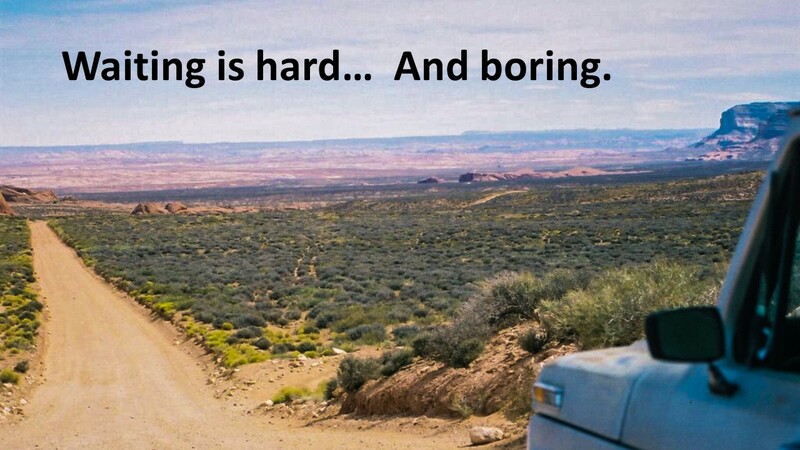 And when there is no variety, it becomes boring. We start to complain. It’s natural to complain, or is it? Let’s look at today’s text. It’s been two years since the Lord led Israel out of Egyptian slavery. They left Egypt with a vision of this new land promised to Abraham, a good land flowing with milk and honey. 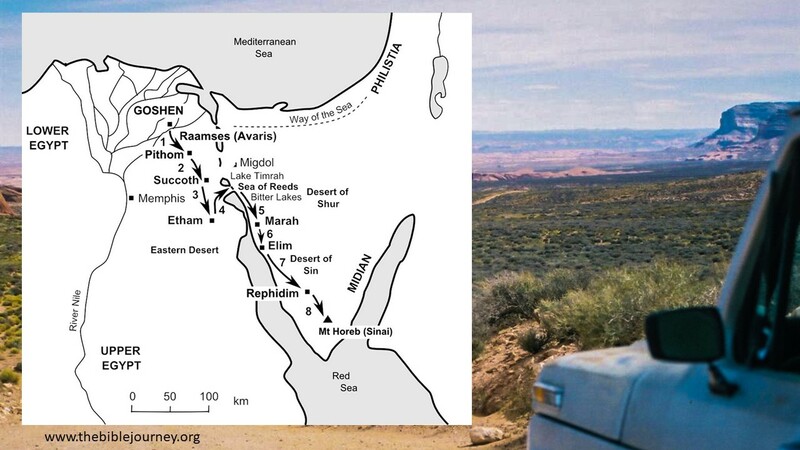 But instead of taking the direct way, up the coast line, the Way of the Sea, and on into the land of Canaan, God has Moses take a right hand turn that leads into the rugged and inhospitable wilderness of Sinai. Why would God do that? Of course, God provided for them. Manna every morning, more than enough to sustain their fill. But people are weary. They are tired of a life in the wilderness. They are tired of a bland diet. They begin to bicker and complain, so much so that God becomes enraged and his anger is kindled and fire burns toward the people. Panicking, they cry to Moses. Moses prays, and the fire are extinguished. In verse four, we are told that that rabble had strong cravings. The word rabble is interesting. This is the only place it occurs in scripture and it appears imply not only a group of people, but a mob-like group led by their “sensual appetites” This group’s “cravings” drive their behavior. They think back to all the good foods they enjoyed in Egypt: the fish, vegetables, and spices. Now they have just manna. In the Book of Exodus, we’re also told more about manna, the collecting and gathering of this substance. 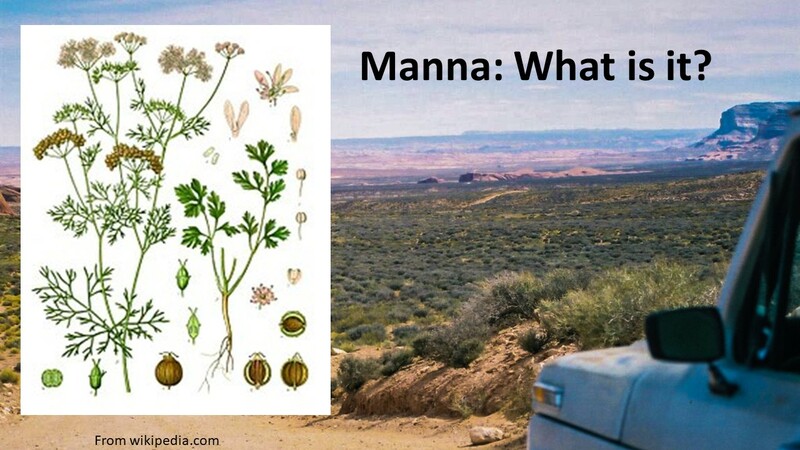 The word manna means, “What is it?” Both books tell us it tasted like coriander seed. Many of us have coriander in our pantries. It’s a wonderful spice to use in breads and stews, but only in moderation. Have you ever tasted it? Coriander comes from the seed of cilantro, another wonderful spice. The seeds are ground up. A recipe might call for a teaspoon of the spice, or maybe a little if you’re preparing an Indian recipe. It’s kind of bitter. I can’t imagine eating bread where the ground seed of cilantro replaces the flour. If you have an interest in seeing what coriander tastes like, I have some in this mortar that I’ll place on the communion table. After the service, if you are curious, you can take a spoon and put a pinch of the powder in your hand and try it. Remember, sometimes God calls us, like Israel, into a transition. While we are tempted to throw up our hands in disgust or anger, we should remain faithful and ask God what we should be learning while we trust that God is preparing us for something new. Knowing that God is good, we should trust that God has something better in store for us. Now it may not be immediate or even in this life, but we go forth trusting. Hear this, the Land Between can be a dangerous place for our souls. As we transition to a new normal, we have to guard our hearts against the spirit of despair. If we go down the direction of despair, we easily end up believing that God is not good. Then we become bitter. Or we give up on God. Instead, we need to be patient and believe that God is preparing us for something better. We worship a God of life, of new life. 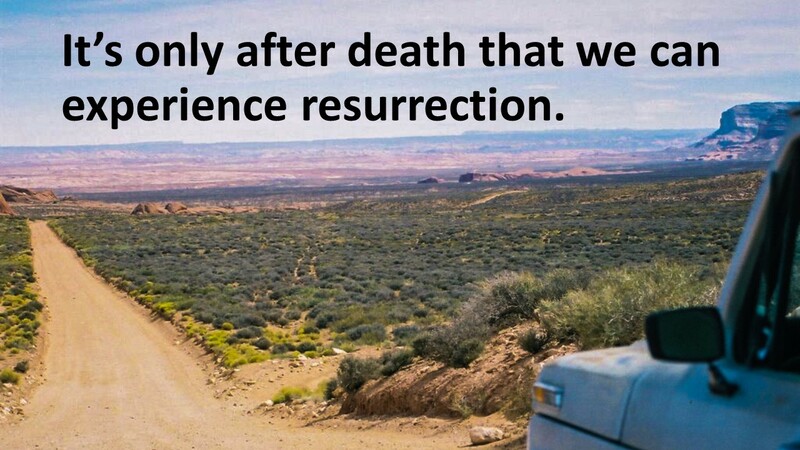 Let’s remember, it’s only after death that we can experience resurrection. The Christian message, the gospel, is to not give up on God. It is to trust that God is working to make all things new, in our lives, in our community, and in our world. When we enter this Land Between (which we must all travel sooner or later—as individuals and as a part of the communities in which we live), we must look around and give God thanks for the blessings we enjoy. 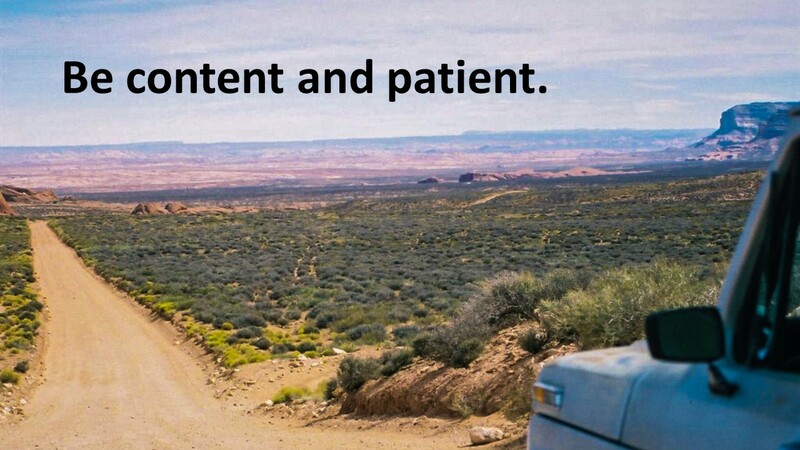 We must be content and patient. We’re Christians, we should be the hopeful ones in the crowd. Israel should have been thankful they were no longer enduring the whips of their former masters and that, even in the wilderness, God was providing for their needs. In the wilderness, where God was actively working to forge them into a new nation, God sustain them. And God will sustain us. When you enter a period of transition, don’t be like Israel. Believe in God. Trust in God. Give thanks for that blessings, however small they might be, that you have been given. And wait in hope, because you have faith in God. Amen. Linda Bonney Olin “Praise God from Whom All Blizzards Flow: A Doxology for Those Blessed with Both Wintry Weather and a Sense of Humor.” (2019). Set to Geistiche Kirchengesanger, 1623; harmony Ralp Vaunghan Williams, 1906, Lasst Uns Erfreuen. Found on Facebook. See Exodus 15:22-27 and 17:1-7. Philip J. Budd, Numbers: Word Biblical Commentary (Waco, TX: Word, 1984), 127. Interestingly, in Exodus 12:38, we are told that they left Egypt with large herds of animal. Here, no herds are mentioned. Had they eaten all their herds? Numbers doesn’t provide an answer. Have no idea, who you are anymore … you still that travelling Sage man that I know? If yes, hello … if no, good bye. In any case, be well, eh? Love, cat. Yep, I’m the same person. My “Sage” blog, which was started right after I left sagebrush country, was more private. I only did travel, outdoor post, and book reviews and didn’t talk about my work. Our church service was cancelled yesterday morning due to our weather. 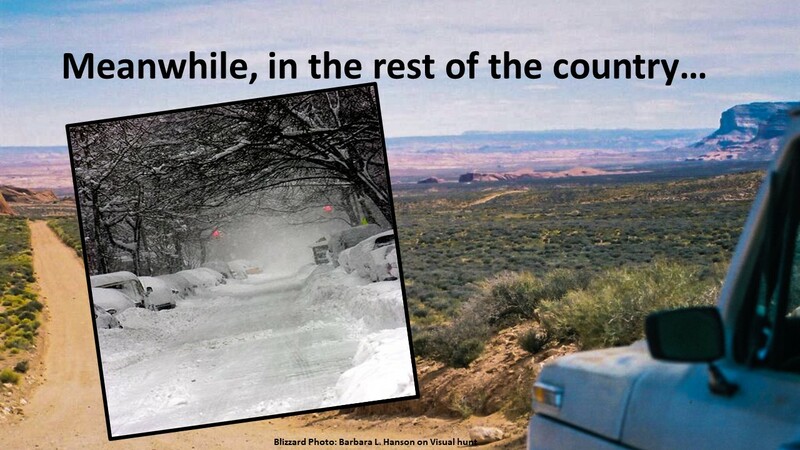 Over the last two or three days, we have had about 10 inches of snow that is still blowing around and drifting. The temperatures are bone-chilling today. The plows are still trying to get around to clean the roads in our city. I’m trying not to complain, though, and I’m glad I got to enjoy your sermon here. 🙂 I am grateful to have a warm and safe home to stay in while the weather rages outside. It is January in Ohio, and this weather is to be expected. Hope you have a good week ahead! This is a good reminder to count our blessings even when things aren’t going so well. The song the lady reworded is funny! Very appropriate for the season. We do have much to be thankful for … we must always remember those who do not. I’m happy to introduce myself. The picture of “Praise God from Whom All Blizzards Flow” that I originally posted on Facebook contained my copyright notice and web address, but those details seem to have fallen by the wayside as the lyrics have been passed around the internet, many thousands of times. I’m a United Methodist lay speaker and writer of hymns, devotions, Christian drama, and whatever else my “Holy GhostWriter” assigns. I love God’s gift of humor, and it’s fun to write a light-hearted verse like the blizzard doxology now and then, but my serious hymns are the work of my heart. I write texts (aka lyrics) and usually set them to familiar tunes in the public domain. Please visit my Faith Songs website (LindaBonneyOlin.com) to see more.